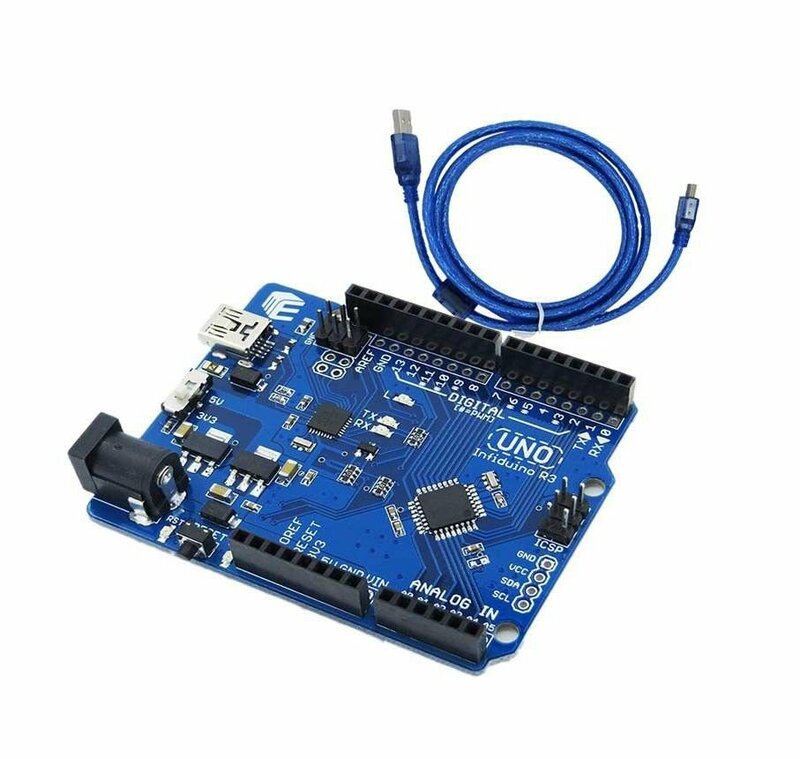 Completely compatible with Arduino Uno R3(with Atmega16U2 as the high speed USB chip). Selectable 3.3V/5V operating voltage. There is a on board switch used for changing the voltage of Atmega328(3.3V or 5V). Enchancement in current performance. The 3.3V and the 5V voltage regulator all can provide 1000mA current. New layout. The "Reset" button and the power LED are moved to the lower edge of the board. "Reset" LED added. When you reset the board, the "Reset" LED will show if the "reset" action has been done successfully. Package include "1 x Infiduino Uno R3 + 1 x 1.5m USB cable"